no slouch himself. The cover image of Hogwarts castle is sure to excite Harry Potter fans, but the true value lies inside. The affordable cost gets you 408 pages of Orlando goodness. The scale is staggering. These 408 pages in small font must have been hard to fill, you’re thinking, but as an interested local, I can testify that there really is that much to do in Orlando. You’ve got the obvious stuff like Universal and SeaWorld parks, and the guide does not skimp here. We’re on page 165 by the time we get to Gatorland, and then turn attention to other parks like Holy Land Experience, Kennedy Space Center, Legoland, and Busch Gardens Tampa. You’ll find info about zoos, gardens, water parks, sports, dinner theater, shopping, and other roadside things that only proliferate in places like Orlando and Las Vegas. I cannot imagine the work that went into writing and revising this book. 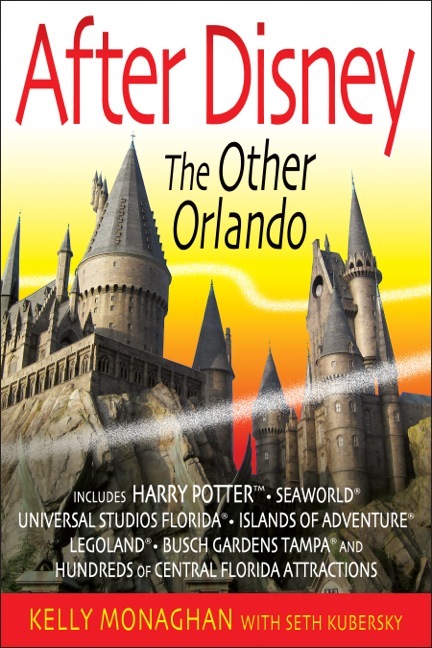 For a visitor from out of state, the book should offer fantastic value in deciding and decoding the “big” attractions to do that are not Disney. For a local, though, the book is invaluable at providing ideas and inspiration for the next thing to experience. It confirms my already-held belief that there are decades of things to do here (and I say that without exaggeration), and I plan to thumb through this book regularly for ideas on what to do next. Kevin Yee, a Disney fan from birth, spent more than a decade working at Disneyland and cultivating a never-ending fascination with that park’s rich traditions and history. Now relocated to Orlando, Kevin enjoys the Disney offerings on both sides of the country. 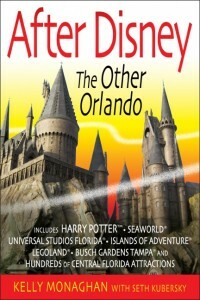 After Disney: The Other Orlando is published by The Intrepid Traveler and can be ordered by clicking here.